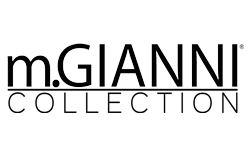 This handmade limited edition collection is designed by Morgan Gianni who also honed his talent as the CEO/ Chief Stylist of Fashion Optical located in Dallas, TX. This line is comprised of fifty five styles of women’s, men’s and unisex glasses and sunglasses. Only 1,000 frames of each color is manufactured worldwide and each frame has an original certificate of authenticity. Hand crafted in Japan, the m.GIANNI Collection is made of finest hand-layered acetates in an array of contemporary patterns and colors from the renowned Mazzucchelli company in Italy. “I realized that my unique background would be instrumental in successfully designing my own line of fashion sunglasses,” he continued. “It is very exciting for me because this is where my passion is. Eyewear is in itself fashion. Unlike anything else in fashion, eyewear has the unique ability to change how you see the world and how the world sees you.” The designer has been featured on EXTRA with Mario Lopez , and his collection has been featured in Variety, D Magazine, Modern Luxury, The Dallas Voice, The Dallas Morning News, and Quick Magazine, among others. All rights reserved. All company names, brand names, trademarks and logos are the property of their respective owners. Website Developed and Maintained by Promotions Technologies Inc.